Who Are You Listening To for Your Home Based Business, Network Marketing and MLM Training? It makes a BIG difference as to WHO you listen to for your MLM training, network marketing training or any traditional business training. Over the years, I’ve heard many, good and not so good network marketing and MLM trainings – yet one can learn “something” from them all – even if it is what NOT to do! The majority have left me ‘feeling uneasy’ with their manipulation and tactics to ‘convince’ people to buy or join you. Kim Klaver is one of the few I recommend. She will teach you a 'comfortable way' to introduce your products or services to people of like mind and how to find entrepreneurs to help your business grow. Why not you? is on the right track with his Unlock the Game coaching. If you want to be come from a place of honesty, integrity and be ethical ...learn from him. 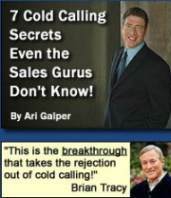 Even though he talks about cold calling this can apply to many area's of not only sales but life and particularly applicable for any one serious about their MLM training. It’s about how you 'THINK'. Most people ask “What’s your system”, “how do you do such and such”, yet NO ONE asks, “How do you think”. Because it's not about the 'system'. It is about how YOU think! How you respond to others and how they respond to you. HINT: How you think cause's the response you get from others. Get that part right and your success WILL come. I can really relate to business people who struggle with marketing and ways to build a client or customer base, particularly with Network Marketing. Stooping as low as loitering around town waiting to 'bump" into someone and offer them an 'opportunity" Grrrr! Some guru in a book said it 'worked' great! Yeah right! Not! I wish now that I had stumbled on this training many years ago. I could have saved myself many ‘mistakes’. Most MLM training programs appear to ‘gloss over or ‘miss’ this important part altogether. Ever been lost for words trying to 'explain' what Network Marketing or MLM is? When attempting to explain what MLM is, have you seen the persons eyes glace over? Not comprehending? Yet, once you understand how it works it's easy to wonder why everyone else doesn't. 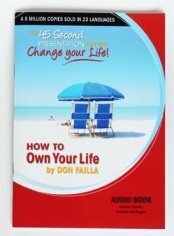 'How to Own Your Life' has sold over 4.5 million copies in 23 languages so it is certainly tried and proven. Let’s face it EVERY business wants loyal customers and clients. Right? That is usually why big business employs ‘sales’ people - To bring in those customers and clients. Yet home based business owners and network marketers usually are IT, and have to do this part themselves as well as everything else. Not always a strong point for most people. Although I don't agree with everything Jo teaches I’ve put a library of some of his MLM training articles here. These are good. Again feel free to print the articles out as you will want to read them over and over again. They really do have that effect on you! Learn how to own your life by creating an income without a job, so you can stay home and follow your heart. MLM Failiure - Is is your fault?